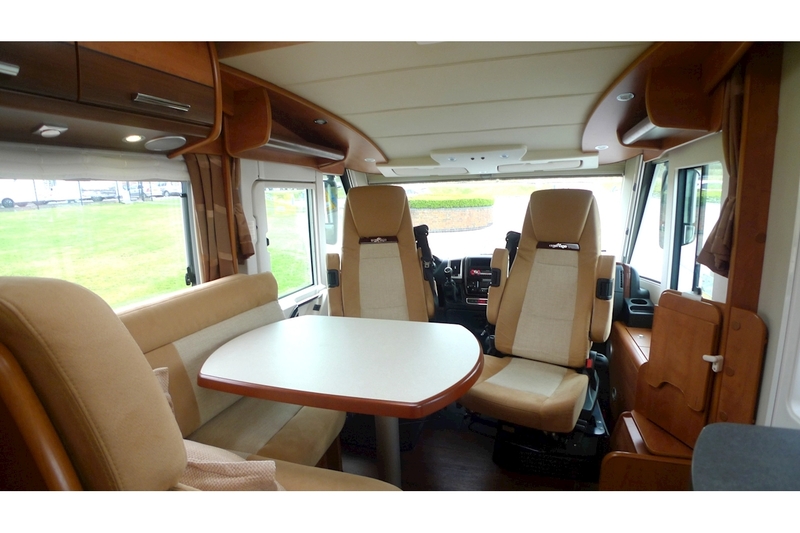 Ref: 2547074/2761. 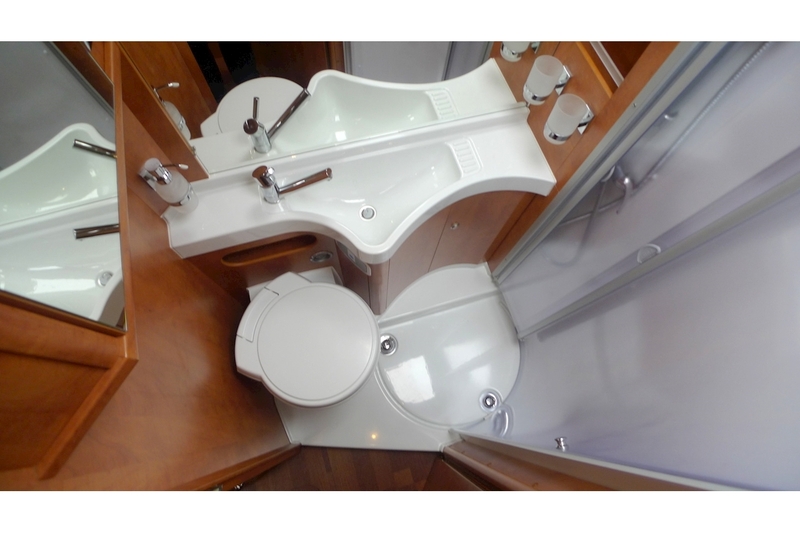 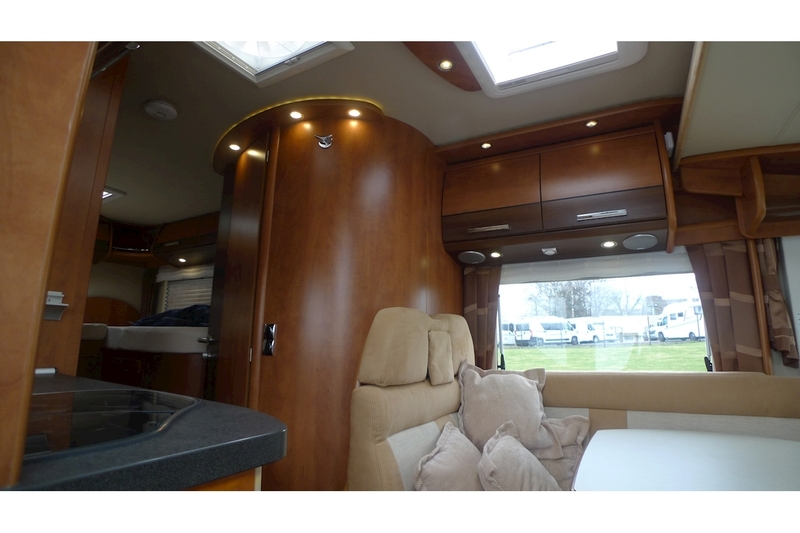 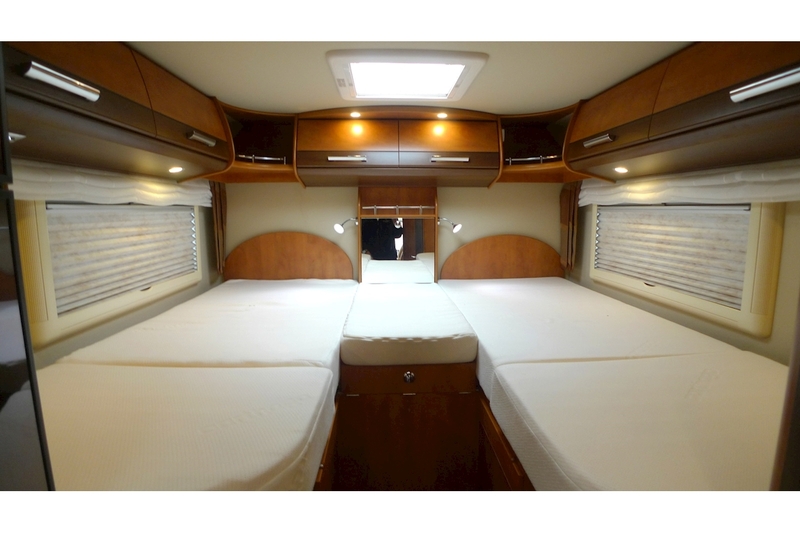 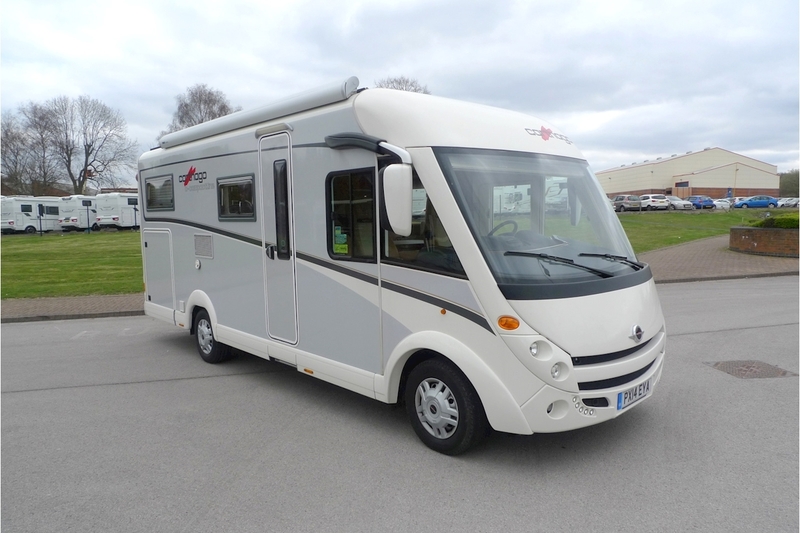 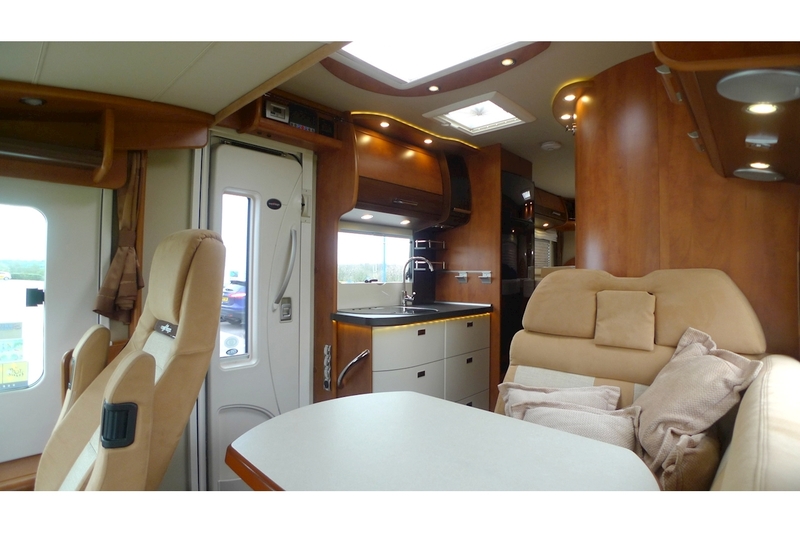 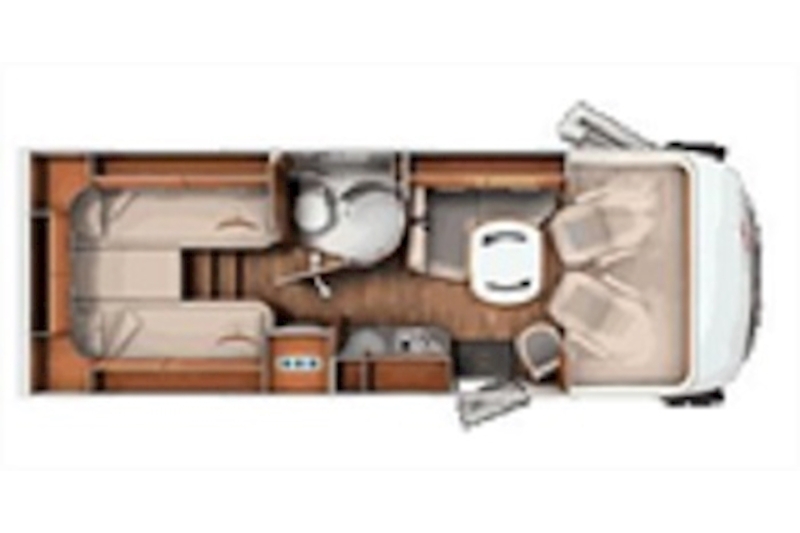 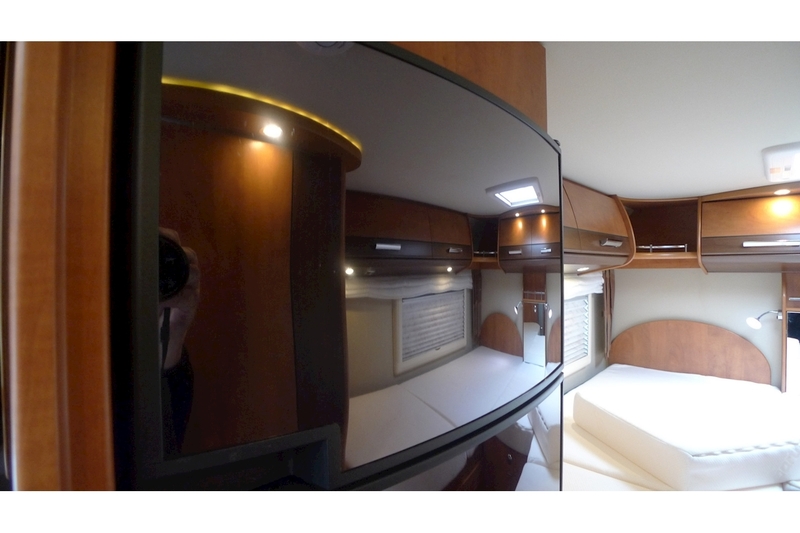 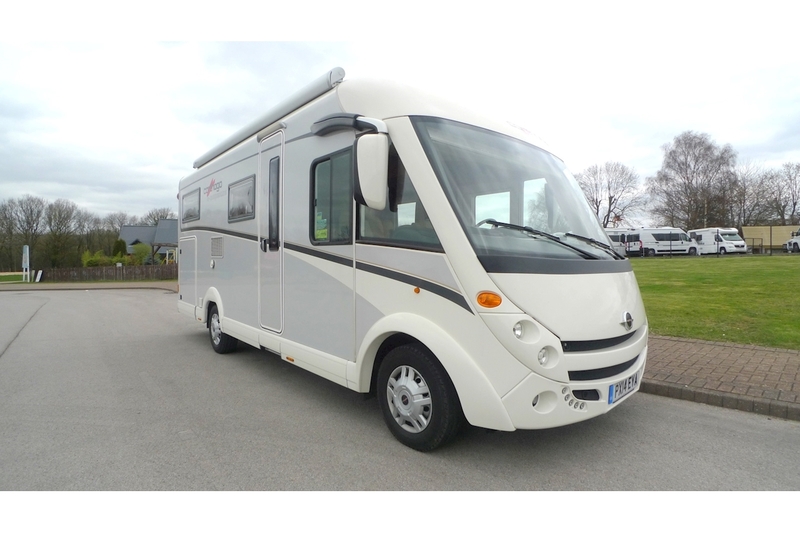 A SuperLight SuperSlim 4 berth A-Class motorhome with single rear beds central extension to form double, underbed storage, adjacent side washroom shower WC wash basin vanity unit, Galley kitchen, L-shaped lounge side couch, swivel front seats and dropdown bed over cab. 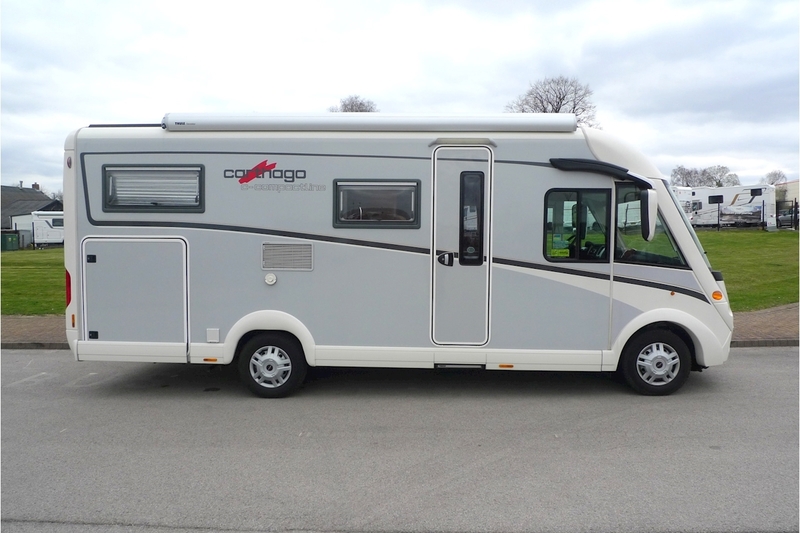 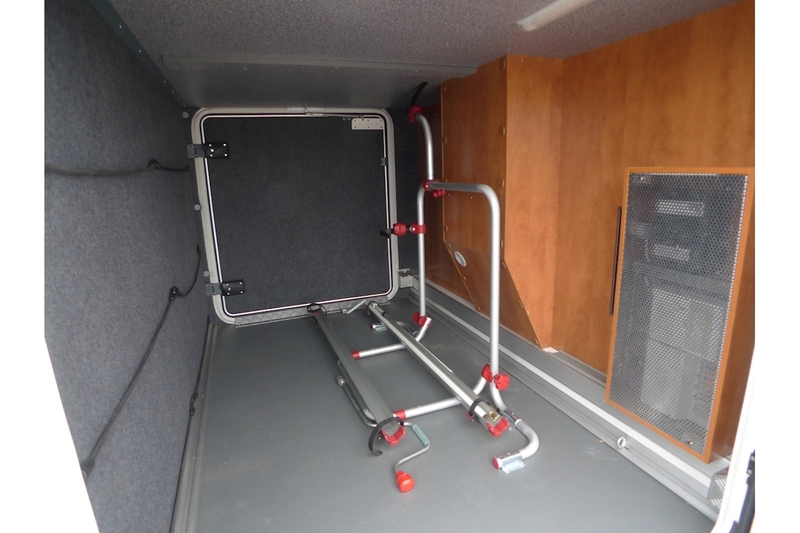 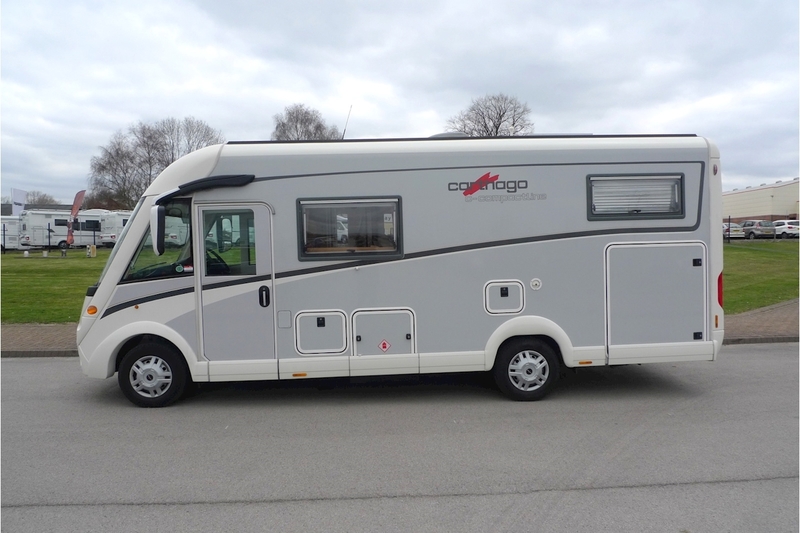 Fiat Ducato AL-KO low frame, special Carthago feature 35 Light chassis at 3500Kg with Fiat 130PS 2.3L. 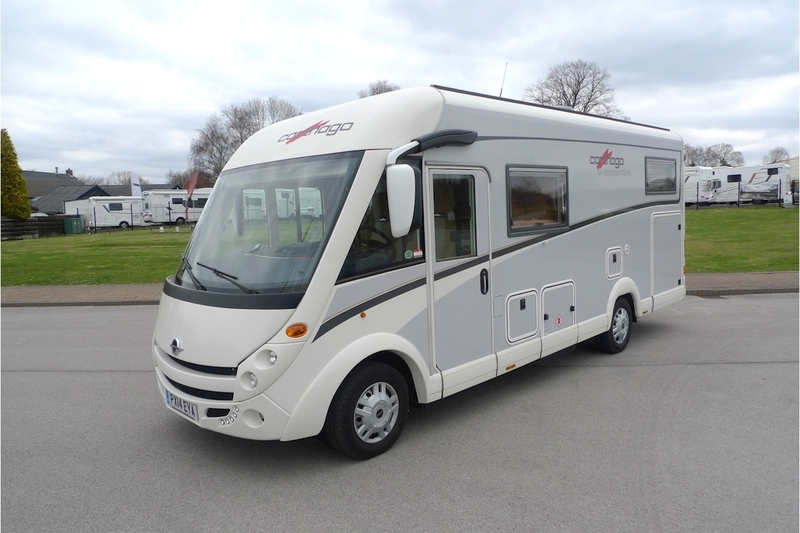 Special Carthago features : Bus Mirror Housing In Black / White, Dashboard Fine Wood Inlays Air Vents In Silver, -Radio Aerial With DVB-T Reception, Carthago Reversing Camera System, Teleco Flatsat Classic 85cm Satellite System with Booster, Truma Combi 6 with heating directed to driver’s cabin and technical components, Furniture with light and multi-bonded plywood, Chassis connections light high-strength aluminium alloy gives perfectly balanced weight distribution between front and rear axles, A Carthago motorhome offers the largest storage space of its class maximum loading height insulated frost-proof and also heated targeted, Largest comfort fold-down bed in the class with good access, High-comfort seating groups with comfortably shaped upholstery, Driver’s cabin seats fully integrated in the round seating group, Ergonomic upholstery with high-quality covers, Interior walls with micro-fibre climate-regulating covering, Dimmable LED lighting technology, FT pull-out system Quick Up in sideboard in driver cabin (passenger side), MiRoof awning on roof curve mounted on special profile, Heki high-quality skylight above the folding bed, Multimedia centre / Navigation Blaupunkt with touchscreen, DVD and CD deck, monitor for reversing camera. 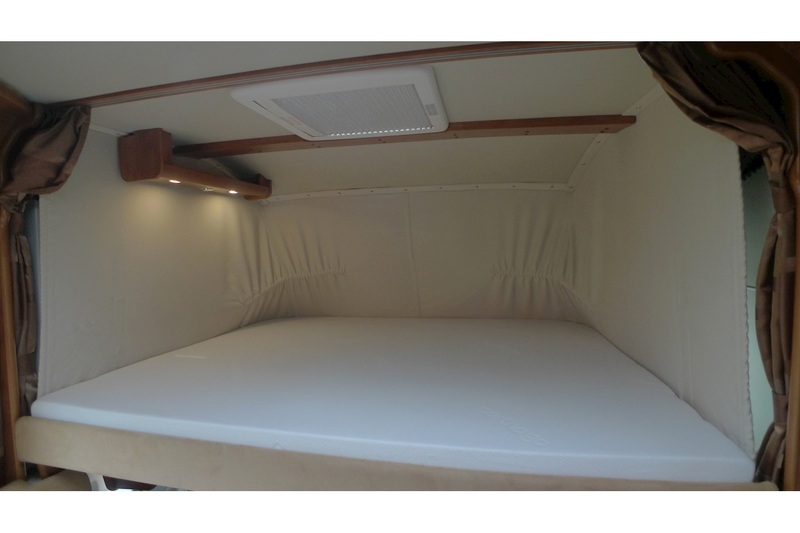 4 Berths & 4 Belts.